Being happy can increase your productivity levels by 20%. As happier people are less stressed and have more confidence in their work. They also have a better idea of their goals and the tools they need to meet them. So, how can you improve productivity levels in your educational and professional life? Here are 8 tips to enhance your productivity for better focus and work output. Unorganized people waste an average of one hour a day searching for information. Learning proper organizational skills is a top tip on how to increase productivity. Getting better organized can remove both mental and physical clutter from your life. This allows you better concentration and more room for creativity. Adopt a digital organizational system using the help of technology. This includes tools to keep track of assignments, like sticky note apps. As well as setting appointment reminders on your mobile and computer calendars. It also helps to keep a clean inbox with categorized folders. Use your notes app to jot down creative ideas and inspirations. Or keep a running to-do-list of daily goals and tasks, crossing items off as you go. You can keep your physical workspace uncluttered with well-organized storage containers. Use labels and color-coding to categorize important documents and files. A decluttered space will help you to better focus on projects and tasks. A comfortable and convenient work environment is key to improving productivity levels. This is true for those who work in a traditional office setting. As well as freelancers who work from home or are members of a coworking space. You can try to control noise levels by listening to music. Spotify has a whole category on productive playlists for your workday. This can help cut out distractions in a noisy office or work environment. Enhance comfort with ergonomic seating and an easy to access desk set up. You can even add an office plant to gain a 15% productivity increase. Even letting little distractions into your workday is a sure way to kill a productive streak. This includes watching TV while working or browsing the internet. Texting and checking social media can also create a big distraction. Make it a habit not to go on social media while working, unless it's part of your job. You may also want to block text and email notifications from your computer. A pair of noise-canceling headphones can keep chatty coworkers from visiting your desk. You may also want to avoid eating at your desk. Instead, use lunch hour as a chance to take a break and socialize. It helps to set a daily schedule for yourself. This way you can control what gets done during your most productive hours. For most people, 11 am is the most productive time of the day. Start by answering all your emails first thing in the morning to get it out of the way. Then you can tackle new projects and difficult tasks during your productive windows. Avoid doing anything too challenging during the dreaded 3 pm workday slump. This is a good time to recharge by taking an afternoon break. Small breaks are simple productivity life hacks that make a big impact on your day. Letting your mind and body recharge helps you to find focus. It's also good for your posture and wellbeing to get up from your desk and walk around. It can help to set a break schedule. This includes time for a morning break, lunch, and late afternoon break. Others do better working for a straight hour. Then taking a ten to fifteen-minute rest. Take this as an opportunity to grab a coffee, take a walk, or call a friend to catch up. There are also apps that can help you to coordinate your breaks for better productivity. Check out the innovative technology of Time Out, Awareness, and Pomodoro. Or you can always set a timer on your phone. In times of stress or transitional periods, it can help to get some guidance. Seek out a mentor, life coach, or college professor. They can provide motivational support to bring productivity levels back up. Other resources include joining an organization or professional association. These can provide influential connections and training opportunities. They also help with networking in your career. Keeping your professional and personal life well-balanced will help to enhance productivity. Do this by making sure you're getting enough sleep and eating healthy. As well as spending time with friends, family, and significant others. Use your weekends to relax, recharge, and get in healthy habits like exercising. Also, be sure to spend time going on vacation or take a mental health day. This will help you to avoid becoming overwhelmed and burning out. Balance school work and academic pressure by taking up extracurricular activities. This will offer your mind a break and allow you more opportunities to socialize and network. A healthier work-life balance also gives you more self-awareness and time for reflection. This helps you to gain better mental clarity on your own productivity levels and goals. Staying happy in your job makes all the difference in how productive you are. It also paves the way toward your own personal development goals. This makes it crucial to find an industry that you enjoy. It should also offer you opportunities for upward mobility and job growth. This ensures you're getting enough of a challenge and have the potential to move up in the company. Don't be afraid to take on a new role in your career. Or accept a new project or job offer when the time is right. It's important to recognize if you're not happy and make needed changes. These tips can help you ensure your career is moving in the right direction. These tips should provide you with the right ways to help improve productivity in your life. Remember that you can use these tools to succeed in school and throughout your career path. It's important for your personal development and productivity growth to never stop learning. The Honor Society offers new learning opportunities to advance your career. As well as networking potential and other membership perks. 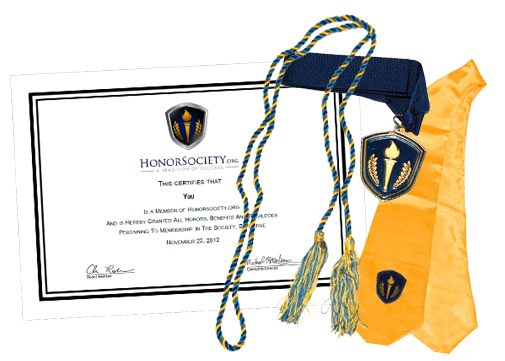 Learn more about Honor Society membership features and how it can help you achieve your professional goals.